The Plymouth Township Police Department is seeking the public’s help in identifying two suspects in the theft of over $1,000 in merchandise from Boscov’s at the Plymouth Meeting Mall on January 24th. A loss prevention agent from the store was also assaulted. The suspects had a stroller with a child with them. 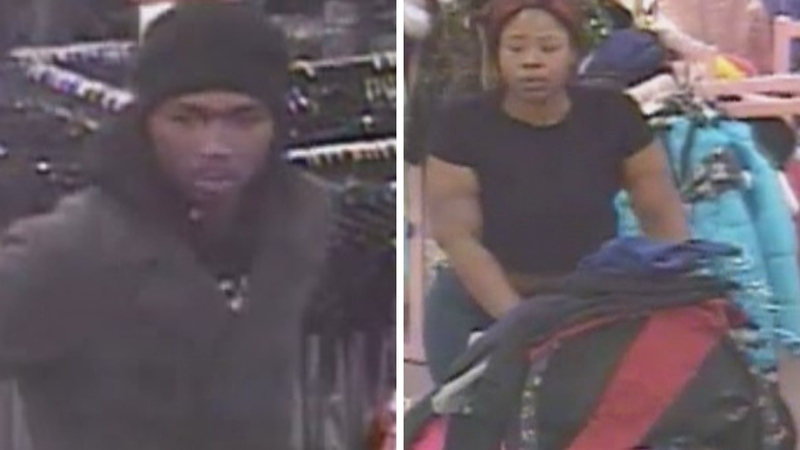 On Thursday, January 24th, 2019, at approximately 1942 hours, the following suspects committed a retail theft and robbery from the Boscov’s located at 500 West Germantown Pike, Plymouth Meeting. The suspects stole merchandise valued at $1,069 and assaulted a loss prevention agent as they fled the store.